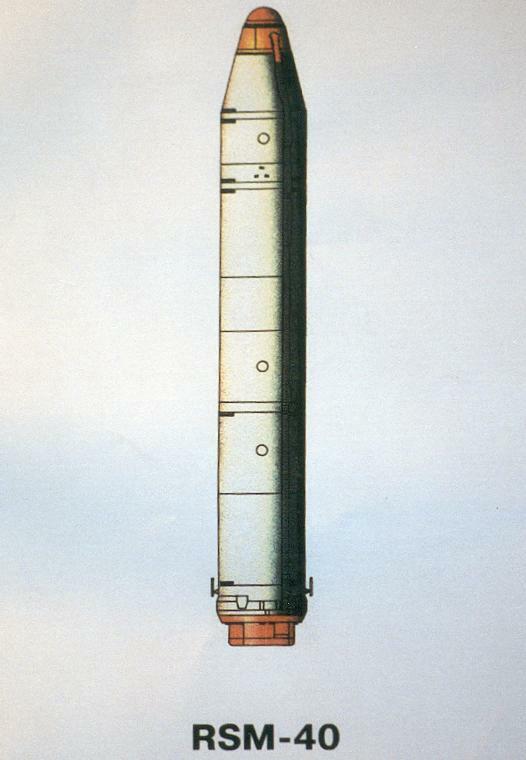 The R-29 SS-N-8 was the first Soviet sea-based ICBM. Deployed on the Delta-class submarines beginning in 1973, the missile's long range allowed submarine alert patrols in the marginal ice seas of the Soviet arctic littoral, including the Norwegian and Barents seas. Consequently, Soviet submarines no longer needed to pass through Western SOSUS sonar barriers to come within range their targets. And deployed close to home, they could be protected in "bastions" by the rest of the Soviet Navy. The R-29 is a two-stage missile storable liquid-propellant, without an interstage section, carrying a single warhead. The missile had an aluminium magnesium alloy body with integrated fuel tanks. The first stage sustainer and the second stage propulsion system are located inside the fuel tanks, thus reducing the external dimensions of the missile. The conical blunt shaped re-entry vehicle was also located in the second stage fuel tank, oriented opposite to the flight direction. The guidance section is located in the conical area of the compartment where the warhead is usually placed. The propulsion systems of both stages consists of a single-chamber main rocket engine, and dual-chamber control engines with moveable chambers. 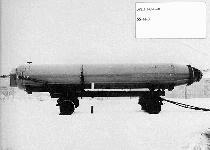 The R-29 was the first Soviet SLBM to use a digital computer and an azimuthal stellar monitoring system for improved high accuracy and in-flight course correction. With a launching weight of 33.3 tons the R-29 missile was capable of delivering a 1,100 kg reentry vehicle to a maximum range of 7800 km, three times greater than the R-27 missile. Thus its patrolling zones were substantially enlarged. According to Western estimates in the 1970s, the SS-N-8 was capable of delivering a 1400-lb reentry vehicle with a 0.6-1.5 MT warhead a distance of 4200 nm with a CEP of approximately 0.5 nm. The R-29 was equipped with ballistic missile defense countermeasures. Decoys were carried in a cylindrical container in the fuel tank of the second stage, and released during nose cone separation. Preliminary design work was conducted by SKB-385 in 1963, which was also in charge of carrying out the entire project after the Soviet Defense Ministry discarded the competing proposals made by OKB-52 and its chief designer V.N. Chyelomyey. The development of the D9 launch system with R-29 missiles was approved on 28 September 1964. The initial tests of the R-29 missile and the D-9 launch system took place with the Black Sea fleet. They consisted of launching full-scale missile dummies with a first stage propulsion system and a simplified command system. Further testing was conducted from March 1969 until December 1971 at the State Central Marine Test Site in Nenoksa. A total of 20 flight demonstration launches were conducted from a ground platform. The final test phase consisted of a series of submarine launches from Delta I submarines. The first submarine launch was on 15 December 1971 in the White Sea. Further tests took place from August through November 1972, during which 18 out of 19 launches were successfully conducted. The R-29 missiles and the D-9 launch system were made operational on March 12, 1974 and they are deployed on 18 Delta I submarines. The Delta Class nuclear submarine can launch missiles at approximately 7-second intervals while fully submerged. Normal reaction time is 15 minutes; reaction time under conditions of peak alert is about one minute. The allowable hold time under peak alert conditions is one hour. The missiles could either be fired underwater or while the submarine was moored at their bases. Further improvements lead to an increase in range up to 9100 km. The modernized launch system designated as D-9D was made operational in 1978. It was initially deployed on four Delta II submarines, which carry 16 R-29D missiles instead of 12 R-29 missiles. Subseqeuntly, the Delta I submarines were also outfitted with R-29D missiles.